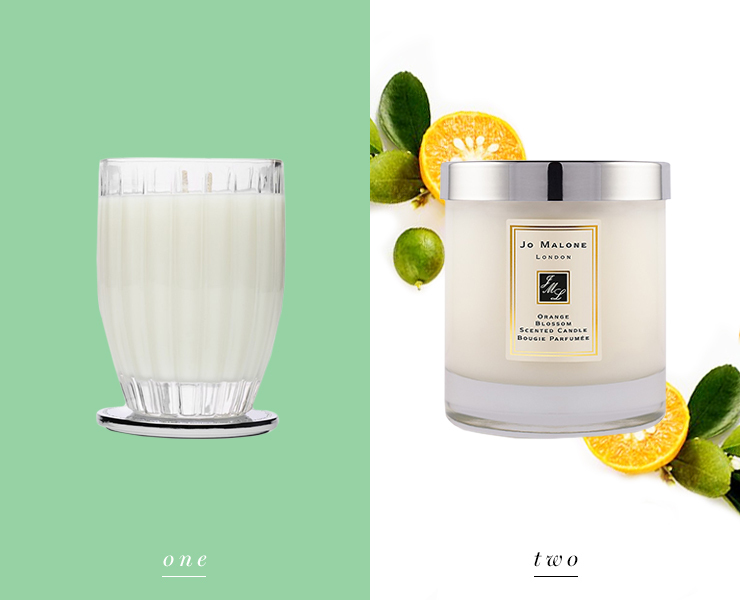 Candles are a versatile buy that feels incredibly indulgent yet totally worth the splurge. 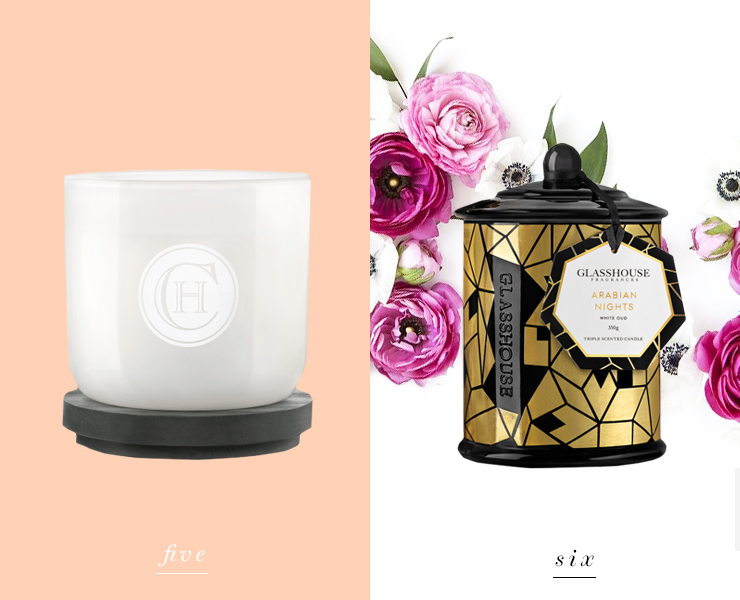 Whether you’re looking for a fresh scent to accompany you while you kick back in a warm bath at the end of the day, or while you cuddle up on the couch to watch The Bachelorette, they’re always an appropriate addition. We didn’t need another excuse to indulge our obsession with new homewares but thought we would give you six reasons anyway, in case you did. Nothing makes us sleepier than the scent of lavender wafting through our living room on a cold winter’s night and since we love sleep so much, it’s hardly surprising that we love this candle too. The lavender scent is lightened with white flowers to create a gentle sweetness. Made in France, Lavander Veil by Esteban is all class, made entirely from vegan and natural wax. Even the wick is 100% cotton and the packaging is made from 100% recycled materials. Instead of traditional winter scents that fill your home with rich, warming scents, Orange Blossom embraces winter with its fresh scent of clementine leaves, morning dew and hints of orange blossom and water lily. This garden scented candle is crisp and fresh and the aroma of winter fruit will infuse your space while the luxe frosted glass candle will suit any decor. It may even inspire you to take a morning walk to soak up that crisp winter air. The Santal scented candle by Diptyque is an example of simple things done very well, since it is 190g of pure sandalwood fragrance. It is a mix of wax and perfume, designed and crafted in Paris and it’ll leave your house smelling of the sacred, precious wood. It will give you that wood cabin vibe as you cuddle up in front of a log fire (or heater) while it’s snowing outside, or more accurately, slightly chilly, because Australia. 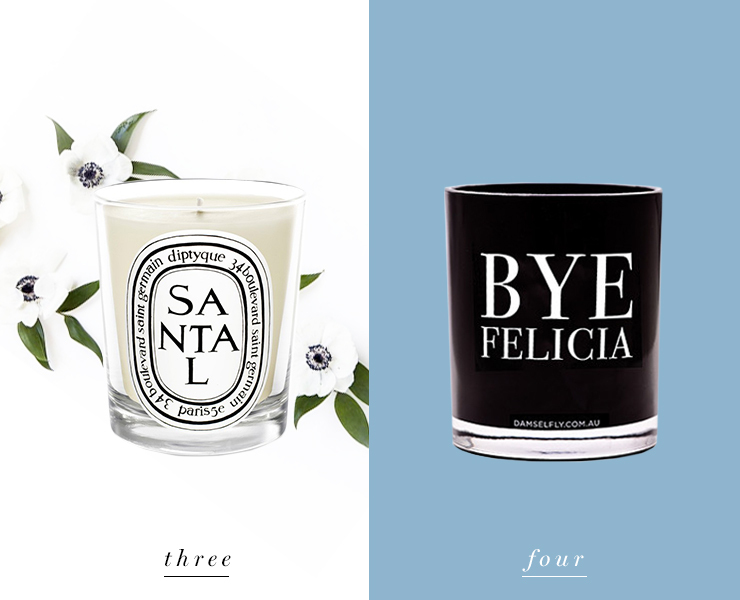 Black and minimalist by design, Bye Felicia by Damselfly is a soy-based candle that has been hand poured in Australia and will take pride of place on your coffee table this winter. They want to hit you square in face with their triple-scented aromas that will keep you guessing as the candle burns. In this case the base scents are amber, cedarwood, white musk, vanilla bean and sandalwood, the middle features a combination of patchouli, cyclamen and jasmine and on top is lime and rhubarb. Hopefully you love your house smelling like dessert as much as we do, because the Crème Brulee candle by Circa Home is a sweet mix of Tonka bean, brown sugar, caramel and vanilla frosting. We won’t be held responsible for your sudden craving for vanilla bean custard with a crisp top of caramelised brown sugar on top, but we will definitely encourage you to give in and indulge it. This Arabian Nights candle has a scent that is reminiscent of the luxe city of Dubai. Oud has been mixed with saffron, white rose and amber to create this limited edition candle and to take you on a sensory journey to the Middle East. This is where east meets west, in all of its musky and spicy glory.